I've got a sweet friend visiting with us today. Michelle Lim is the brand new author of a self-help brainstorming book for novelists Idea Sparking and is a sweetheart of a friend! From the first year I ran into her at the business center at ACFW 2011 and visiting with her again this year at ACFW 2012, I've loved getting to know her more. She's called the brainstorming extraordinaire of My Book Therapy and I'm excited she has agreed to guest post for us today!! Does your story spark with conflict? Brainstorming comes as naturally to some writer’s as eating peanut butter on peas. For others, brainstorming comes easily enough, but they stop short of the best idea when they find one that will work. Whether you are a plotter or pantser, brainstorming can propel your story from good to great. My new book Idea Sparking: How to Brainstorm Conflict in Your Novel packed with brainstorming tips, Idea Sparking strategies, diagnostic plot tools, and personal application exercises shows you how to build conflict and story twists. Inspiring readers to stay up all night to finish a book is a goal of every writer. One tip I teach in my book is the Cliffhanger Formula. A cliffhanger is basically the last line or two at the end of a scene or chapter that leaves the reader hanging. It is easy to spend loads of time trying to come up with the perfect cliffhanger, but there is one way to make it less painful. Step One: Identify the problem your character has going forward from this scene. Step Two: Stop writing the scene before you have resolved the problem. Step Three: Add a line to give it punch. Why does it matter? Sally sprinted toward the bank. The clock struck twelve. Five minutes before the deadline. She entered the bank lobby and approached the teller. Just in time. 1. Identify the problem: Sally is running of out time. Five minutes before the deadline. 3. Add a line to give it punch. Why does it matter? If she didn’t make it in time, her husband would die. Sally sprinted toward the bank. The clock struck twelve. Five minutes before the deadline. If she didn't make it in time, her husband would die. Cliffhangers are merely made up of the ending problem of the POV character and the stakes. Not all of your scenes will be as dramatic as this one, but you should try to find the strongest cliffhangers to end your chapters. You can find Idea Sparking: How to Brainstorm Conflict in Your Novel HERE. What is typically your biggest plot or brainstorming dilemma? Casey, thank you so much for inviting me to visit your blog. I’ve enjoyed getting to know you through My Book Therapy and American Christian Fiction Writers. Today is the last day to enter my Idea Sparking Blog Tour Contest for a Free Kindle Paperwhite. Leave a comment to enter. The drawing and party will be on my blog next Tuesday, Nov. 13th. Michelle Lim is the author of the new book Idea Sparking: How to Brainstorm Conflict in Your Novel. Also a romantic suspense author whose manuscripts have earned recognition in The Rattler Contest 2012, the Genesis Contest 2011, and the Frasier Contest in 2010. 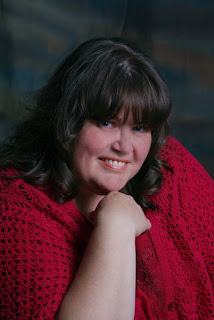 Michelle is the Brainstorm/Huddle Coach at My Book Therapy and serves as Vice President of MN N.I.C.E., a local chapter of American Christian Fiction Writers. Check out her blog at: http://thoughtsonplot.wordpress.com/. I had a major cliffhanger in a WIP recently. This novel, about the Civil War, got to committee with a major publisher and was turned down, and my agent suggested I begin telling the story at a different point in the plot. I began rewriting it, but ultimately had to put it aside when two things happened: my husband was hospitalized, and I had to finish a non-fiction book on a tight deadline. Months later, I came back to the novel and read the last lines I wrote (and I had even put them in bold font): "Aaron must have had the surgeon’s ability. Only the. . ."
And I have no idea who Aaron was. Michelle, you are truly gifted at brainstorming. As I work revisions, I'm finding a few flat scenes. I'm looking forward to reading through your book to figure out how to add conflict to them. Thanks for sharing your insights!! Lol! I do that kind of stuff a lot too. Forgetting names. Thanks for sharing part of your journey. I have been watching for your post all week. It is so great to see your here. Your book is on its way to me in Canada. I am looking forward to using it to add conflict to my story as soon as I get it! Jan, thanks for being a faithful follower! Enjoy the book. I sit down to make a plot for a story, and then after some time, something else pops into my mind, something that would change a lot of things compared to the original plot. And then I just sit there, trying to guess which one would be the best with regards to the events after. So glad to have you here! And I LOVE brainstorming with people...especially about THEIR ideas! That's so much fun!! This is great and just what I needed for my writing this weekend! I can so relate to that, Sophie! I love to brainstorm, too. So glad the cliffhanger formula helped! So glad, Julie. Happy writing! Thank you so much, Casey! Looking forward to getting your email.